Scope out High School Musical hottie Vanessa Hudgens looks better than ever on the November 2008 cover of Lucky Magazine! Before the cover shoot, Vanessa introduced herself to everyone on the set and took the time to sign autographs for and take pictures with the crew’s children. This issue of Lucky featuring Vanessa hits newsstands tomorrow! Zac Efron keeps his arm wrapped around costar pal Ashley Tisdale prior to a screening of the feature film High School Musical 3: Senior Year on Tuesday in Paris, France. Also around to help promote the movie: Zac’s on-and-off-screen girlfriend Vanessa Hudgens, Director Kenny Ortega, French singer Amel Bent and costar Corbin Bleu. You can ask the cast of HSM3 anything you want at MTV — Zac, Vanessa, Ashley, Corbin, Monique Coleman, Oleysa Rulin, Matt Prokop, Justin Martin, Jemma McKenzie-Brown, and director Kenny Ortega. Ask your question at MTV.com. High School Musical stars Zac Efron, Vanessa Hudgens, Ashley Tisdale, and Corbin Bleu sign autographs for fans at the Virgin Megastore in Paris on Tuesday. 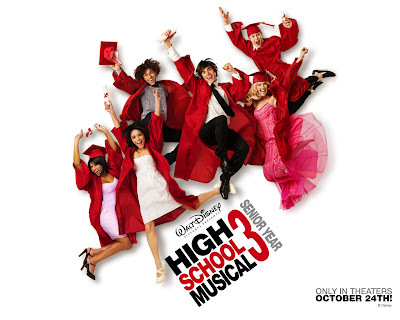 The gang is in town to promote High School Musical 3: Senior Year, out in France on October 22. Director Kenny Ortega is also around town to help hype up the movie. Check out the interviews below of the cast from French program, Le Grand Journal. Zac Efron, Vanessa Hudgens, and Ashley Tisdale walk the streets of Paris on Monday, where they are promoting their new DVD and upcoming movie. The HSM cast is making the rounds in Europe to promote High School Musical 3: Senior Year, which is due out in France on October 22nd. Vanessa Hudgens has reportedly spent a staggering $2.75 million on a new house, with 5,200 square feet, 6 bedrooms, 6.5 bathrooms. Back in August at the Teen Choice Awards, Vanessa confirmed she was “in the process” of purchasing a new property. Zac Efron and Vanessa Hudgens take a romantic stroll through the streets of Paris on Monday. The High School sweethearts are in town to join director Kenny Ortega and costars Corbin Bleu and Ashley Tisdale. 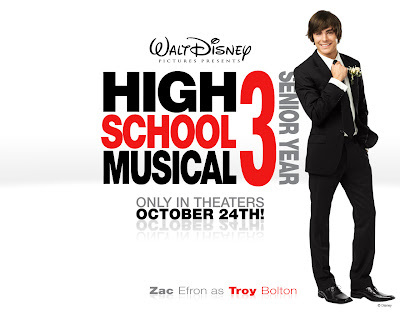 The gang will promote their big feature film High School Musical 3: Senior Year, out in France on October 22. Selena Gomez casts a spell on the small screen as she chats up the new season of her hit Disney show, Wizards of Waverly Place, on The Today Show in New York City on Monday morning. CLICK PICTURE TO VIEW FULL SIZE! Zac Efron and Vanessa Hudgens give exclusive interviews to promote their upcoming feature film, High School Musical 3: Senior Year, with Starlounge MSN at the Grand Hotel in Stockholm, Sweden on Monday. Shortly after, the on-and-off-screen couple dashed to the airport to catch a flight aboard their private jet. Looks like Zac, 20, and Vanessa, 19, grabbed some ice cream bars and pops to go! The couple will join director Kenny Ortega and HSM3 costars Corbin Bleu and Ashley Tisdale to continue the European leg of their promo tour. The gang will hit up France, Spain, Germany and England. Selena Gomez is unusually camera shy as she goes through airport security and then departs from LAX with her mother and stepfather on Saturday night. The 16-year-old Wizards of Waverly Place listened to her iPod while she rushed through the airport and tried to avoid photographers as much as possible. Selena traveled to New York for an appearance on The View, on Monday, September 29th. American Idol finalist Jennifer Hudson will also be a guest on The View that day. Zac Efron and Vanessa Hudgens stop in for a photo call in anticipation of the feature film High School Musical 3: Senior Year in Stockholm, Sweden on Sunday. Ashley Tisdale and boyfriend Jared Murillo spend time with Ashley’s father, Mike Tisdale, as they grab some dinner at Paty’s in Toluca Lake, Calif., on Friday. Selena Gomez champions the AmberWatch Youth Coalition Fun Fair held at a private residence on Saturday in Los Angeles. The AmberWatch Foundation’s mission is to provide innovative educational programs and tools to help children stay safe from sexual predators and abduction. Selena, 16, is the active chairperson of the AmberWatch Youth Coalition. Earlier this week, the Wizards of Waverly Place star made a front-row appearance at Dancing With the Stars. Zac Efron and on-screen/off-screen girlfriend Vanessa Hudgens check into the Grand Hotel in Stockholm, Sweden on Saturday as they get ready to kick off their High School Musical 3 tour. Zanessa graciously stopped to sign autographs for fans while porters unloaded their luggage from the car. Vanessa Hudgens: Off to Meet Zac! These pictures precede this post. Vanessa Hudgens drags her colorful red luggage out of her house as she hops into the car to meet boyfriend Zac Efron at the airport in Los Angeles on Friday. Baby V looks so excited in her fringed boots! Looks like Vanessa is having trouble getting through her front gate. Time for Zac to come to the rescue! High School Musical hottie Ashley Tisdale deals with her wild hair on her way to a recording studio in Santa Monica, Calif., on Friday. The 23-year-old actress met with her manager for meetings before heading home. 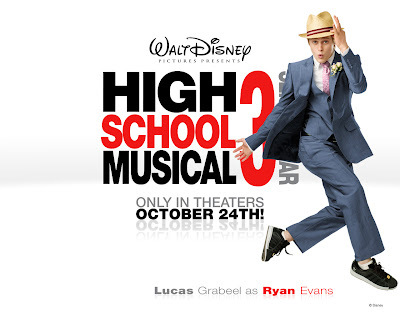 To buy your advance tickets for the upcoming High School Musical 3 film, go to Disney.com and also check out an exclusive clip from the film! Vanessa Hudgens and Zac Efron Are Together Again! High School Musical sweethearts Vanessa Hudgens and Zac Efron take time to sign autographs for fans as they arrive at LAX Airport in Los Angeles on Friday night. The on-screen and off-screen couple are getting ready for their promotional tour of High School Musical 3 on the big screen, slated for an Oct. 24th release. Advanced tickets sales are now available at selected locations. Joe Jonas and Kevin Jonas of the Jonas Brothers get some shopping done at the Studio City Mall in Studio City, Calif. on Thursday. JoBros will being shooting their Disney Channel series starting on Monday according to Access Hollywood. The series will be called Jonas, referring to the street they live on. The trio plays three brothers in a band known as the Lucas Brothers! The “bonus” Jonas (Frankie) will be making recurring guest appearances. High School Musical hottie Vanessa Hudgens talks on her phone as she heads to a medical building and then gets to some shopping in Beverly Hills on Thursday. Vanessa Hudgens shows us her style 5 Days/5 Ways in her October 2008 spread in InStyle magazine. The 19-year-old High School Musical star tries 5 different looks as she goes from a red-carpet look all the way to daytime hair and makeup. Be sure to check out InStyle.com and pick up your copy! CLICK NAME TO SEE THER EST OF THE PHOTOS! Joe Jonas poses with designer Christian Audigier after shopping in his store on Melrose Ave, LA, on Wednesday. Demi Lovato’s New TV Show: Sonny With a Chance! Demi Lovato’s upcoming Disney Channel TV show is called Sonny With A Chance, reports Spanish magazine Para Todos. UPDATE: There’s a slight chance the show is called Sunny With A Chance but I’m told during the interview, Demi was asked to spelled it out and she said: “S-O-N-N-Y”! Selena Gomez and her mom Mandy get mani-pedis at Full Moon Nail Spa in Los Angeles on Sunday. The 16-year-old Wizards of Waverly Place star checked out the latest issue of Us Weekly with Republician vice-presidential candidate Sarah Palin on the cover. This mother-daughter duo seems inseparable! Selena’s latest direct-to-DVD movie Another Cinderella Story is in stores now and also available at its official movie site at WarnerBros.com. Selena Gomez picks up some iced coffee while she does a little shopping with a friend in Los Angeles on Sunday afternoon. The 16-year-old Wizards of Waverly Place starlet and her friend went to DSW Shoes to try on some shoes and boots, while also making some stops at T-Mobile, Starbucks and then to the Arc-Light movie theater. It was a weekend filled with shopping for Selena, as she also did some shopping with her mother the day before, picking up some cosmetics at the mall. The Jonas Brothers just answered another round of questions from fans on their MySpace page. When asked if they like muffins, Kevin, Joe and Nick said, “Yes. Love muffins. Favorites are BLUEBERRY.” Yum! And, their favorite hot topic popped up again: Dating! How would you go about dating a fan? How would you get to know her? We are just like everyone else when it comes to love and attraction. When we meet a girl we are interested in we try to get to know her and look for ways to make that happen. The hard part is finding a place where we can have privacy to get to know someone. Do you feel like when your dating a celeb there is too much drama? A lot of the celebrities we have met are normal people too. It really depends on the person. You can have drama with anyone if they are prone to drama. Selena Gomez goes on a shopping spree with mom Mandy at the Beverly Center Mall on Saturday in Beverly Hills, Calif. The mother-daughter pair picked up a few items from the MAC Cosmetics store. Be sure to check out Selena’s new music video “Fly To Your Heart” below. It’s one of the songs off the soundtrack of the upcoming computer-animated film Tinker Bell. Celebrities that lent their voices to the movie: Raven-Symone, Amerca Ferrera, Lucy Liu, Kristin Chenoweth, Anjelica Huston and Jesse McCartney. The movie’s soundtrack will be released October 14, a week before the DVD release and will contain songs from and inspired by the film. Tinker Bell will be released on DVD and Blu-ray Disc on October 28. The Jonas Brothers film their latest 3-D movie, set in New York City and catch a bite to eat during a break on Saturday. Filmed in downtown Los Angeles, Kevin, Joe and Nick were seen surfing on top of yellow New York City taxi cabs! The boys were also shooting the new music video for their single Lovebug on Friday with actress Camilla Belle. Vanessa Hudgens heads to Hugo’s for lunch in the San Fernando Valley for a business meeting in Los Angeles on Friday. The 19-year-old starlet walked the red carpet at the Teen Vogue Young Hollywood Party on Thursday in Los Angeles. Sabrina Bryan, Kiely Williams and Adrienne Bailon of the Cheetah Girls blow kisses our way while promoting their the new season of their Disney Channel show at Circo Price theater on Wednesday in Madrid, Spain. Adrienne, 24, dolled up in a Bebe dress and platform heels by YSL. Sabrina, 24, paired her Elizabeth & James top with Christian Louboutin shoes, which were a birthday gift to her (her birthday was Tuesday). Kiely, 22, wore a cute navy buttondown dress and Aldo pumps. The girls are having first ever concert performance tonight in Europe! Disney Channel Spain is celebrating its #1 status with kids and families among all thematic channels on broadcast TV, with the cast of The Cheetah Girls: One World in Madrid. Vanessa Hudgens goes back to basics in head-to-toe black at the 2008 Teen Vogue Young Hollywood Party on Thursday in Los Angeles. The 19-year-old High School Musical starlet attended the event on the rooftop of The Los Angeles County Museum of Art with on-and-off-screen boyfriend Zac Efron. Vanessa was Teen Vogue’s cover girl for their September 2008 issue. The month after, Zac graced the cover of the teen mag. Zac Efron plays Mr. Cool at the 2008 Teen Vogue Young Hollywood Party on Thursday in Los Angeles. The 20-year-old High School Musical heartthrob, who popped his jacket collar a lot on the red carpet, attended the event on the rooftop of The Los Angeles County Museum of Art with on-and-off-screen girlfriend Vanessa Hudgens. Zac was Teen Vogue’s cover boy for their October 2008 issue. The month before, Vanessa graced the cover of the teen mag. Selena Gomez is polka dot pretty at the 2008 Teen Vogue Young Hollywood Party on Thursday in Los Angeles. The 16-year-old Wizards of Waverly Place starlet attended the event on the rooftop of The Los Angeles County Museum of Art sans BFF Demi Lovato, who starts production for her Disney TV show next week. JustJared.com can exclusively reveal that Demi will make an appearance on The Ellen DeGeneres Show at the end of this month. She will tape her interview on Tuesday, September 30 and it will air on Wednesday, October 1. You can try snagging your tickets at Ellen.WarnerBros.com. Ashley Tisdale picks up some swag at the Nine West suite at the Kari Feinstein Emmy Style Lounge at a Sunset Plaza private residence on Thursday in Los Angeles. Ashley Tisdale sports a new striped newsboy cap while picking up an ice blended chai latte at Coffee Bean & Tea Leaf in Los Angeles on Monday. Later in the day, the 23-year-old High School Musical starlet hit the gym. The Jonas Brothers look sleek and stylish at Disney’s Concert of Hope benefiting the City of Hope at the Gibson Amphitheatre on Sunday in Universal City, Calif.
Are you dating OR have you dated BLANK (fill in the name)? It is our rule to not talk about our personal lives, especially who we are dating. The same would be true if we were dating you. So yes all you fangirls out there, you all still have your chance! BTW, Nick celebrates his sweet 16 today. HAPPY BIRTHDAY, NICK!!!!! Selena Gomez: Join the Boys’ Club! Selena Gomez wears her support for the Boys’ Club of America while at lunch with two adult friends in Los Angeles on Tuesday. For more details on the Boys & Girls Club of America, visit BCGA.org. The 16-year-old Disney sensation ate at Du-Par’s restaurant and bakery and then shopped at a local GNC (General Nutrition Center) store. 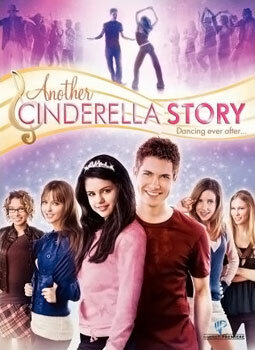 Selena’s direct-to-DVD movie A Cinderella Story is out in stores TODAY! Be sure to check out the exclusive interview JustJared.com had with her costar Drew Seeley. For more information on the film and how to order it, visit the official movie site: AnotherCinderellaStory.WarnerBros.com. Nick Jonas of the Jonas Brothers takes his new pet pooch for a walk outside his home in Toluca Lake, Calif., on Tuesday afternoon (his sweet sixteen!!!). The 16-year-old pop star received his puppy as a birthday gift from a special someone today. Nick shared his birthday wish to Twist last month: “I want a dog. A big dog!” Nick also gave a big thumbs up to photographers during his neighborhood stroll. Disney starlet Selena Gomez (in BCBG) attends the premiere of her straight to DVD movie Another Cinderella Story at the Grove Pacific Theaters in Los Angeles, Calif. on Sunday. The 16-year old actress stopped to speak to reporters and posed with fans on the red carpet! Co-star Andrew Seeley was also on-hand for the festivities. Directed by Damon Santostefano, the film has a target release of Sept. 16. What was Vanessa's favorite part of the VMA's? The Jonas Brothers walk the purple carpet at the European TV premiere of their new movie, Camp Rock, held at the Royal Festival Hall in London, England on Wendesday. Joe, Nick and Kevin and costar Demi Lovato are all expected to appear in the sequel to Camp Rock. And according to Hollywood Reporter, the Bonus Jonas Frankie (their youngest brother) is also sent to make an appearance. You can also check out an exclusive performance of the Jonas Brothers performing “BB Good” for The Ellen DeGeneres Show here. The Jonas Brothers team up with Demi Lovato to shoot some stills for an album cover while in London on Tuesday. After 2008 MTV VMAs host Russell Brand made fun of the Jonas Brothers for their purity rings, they paid a visit to Radio 1 in London and responded with grace, having nothing negative to say about the comedian despite his jokes. After their visit to Radio 1, the brothers met up with Demi Lovato for their photo shoot. The photo shoot took place around Soho and the World Famous ‘Eros” Statue. Ashley Tisdale sports some shades and picks up her usual coffee and snack on Tuesday morning in LA. Tizz was joined by High School Musical co-star Corbin Bleu at the MTV VMAs to present. On Monday, Ashley stopped off at the Coffee Bean and Tea Leaf for her coffee fix. The Jonas Brothers are Number 1! Kevin Jonas, Nick Jonas and Joe Jonas of the Jonas Brothers arrive at Radio 1 in London, UK on Tuesday. The teen trio has had quite a few busy days with the VMAs and their response to jokes made about their purity rings. Going into the night, however, the brothers wanted nothing more than to meet Britney Spears! “We really hope we get to meet her!” said Kevin before the show. “That would be an honor. You want to pull for Britney and hope for the best!” he added. Joe revealed, “She was the first CD I ever bought, so it would be cool!” “I wanna meet her!” Nick added. And by the end of the night, they got their wish! After 2008 MTV VMAs host Russell Brand took a shot at the Jonas Brothers for their purity rings, the teen sensation spoke to the BBC. Nick Jonas said, “For us it’s cool to see that he recognizes we are gentleman.” Brand also apologized to the trio after the remarks after the event. Disney starlet Demi Lovato leaves Radio 1 after an appearance in London, UK on Tuesday. The 16-year-old actress stopped off at the 2008 MTV Video Music Awards on Sunday in Los Angeles and donned a Herve Leger banded dress. Demi also did a photoshoot for Entertainment Weekly magazine last week in New York City, where she posed in front of Economy Candy on the Lower East Side.